In this step, you have to draw the user journeys which a user will take to achieve various tasks of the solution. 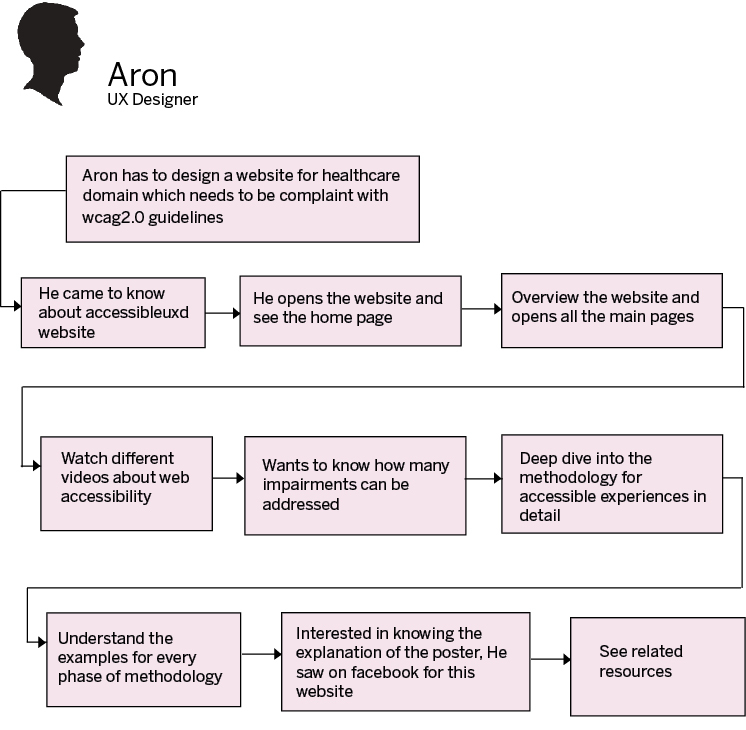 For example: I have explained here the user journey of Aron for www.accessibleuxd.com. He is a UX Designer who wants to design accessible website for healthcare domain. Also he has low vision and uses screen magnifier browser settings to increase the text size.